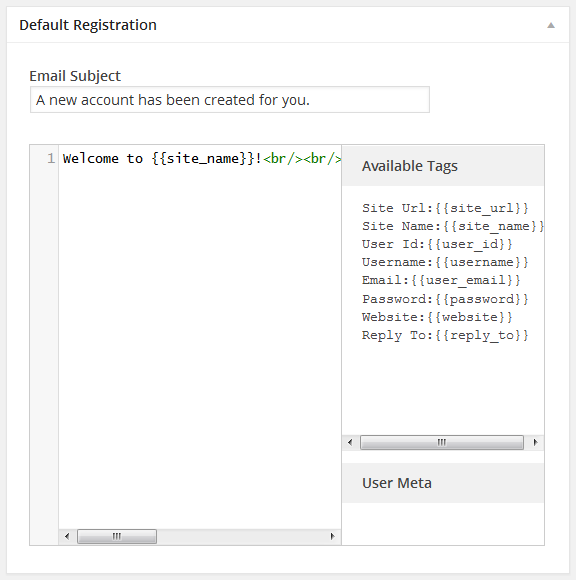 The User Email Customizer module allows you to personalize all emails sent to your website users. 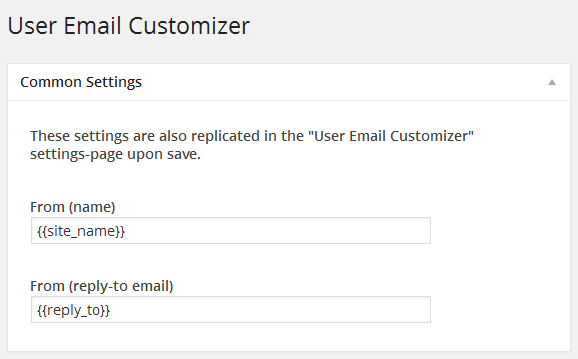 Activating the User Email Customizer is done from the Modules tab. 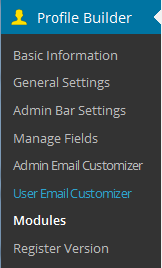 Once activated the User Email Customizer tab will show up in the Profile Builder menu. The Common settings box allow you to set the From name and reply-to email for all the user emails sent. 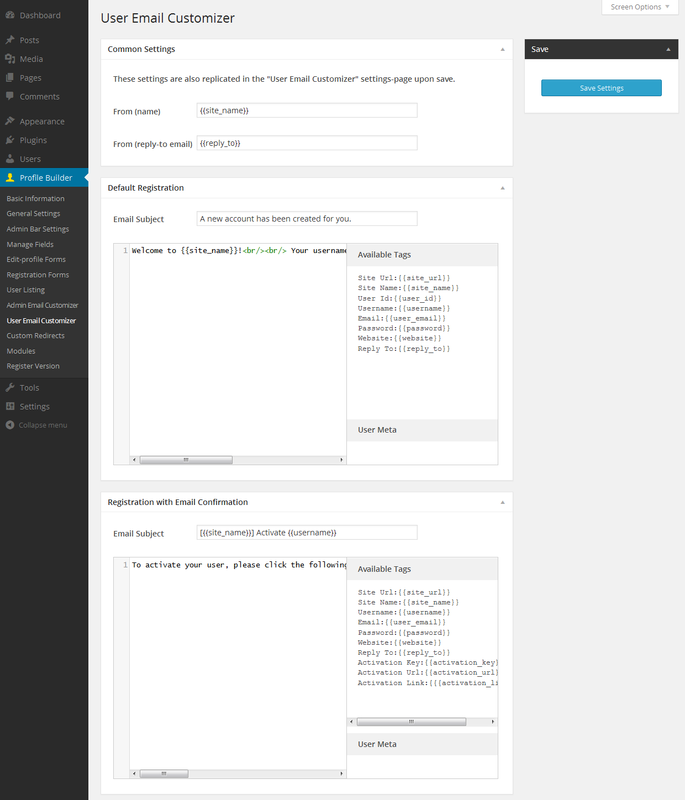 In the Default registration box you can edit the Subject and Content of the email received by the user after registering for the site. …as well as any of the User Fields tags which you can find under User Meta tab. This is the email sent to users when the Email Confirmation feature is activated. It contains the confirmation link, allowing users to confirm their email address. This way the website administrator makes sure users sign up with genuine emails. 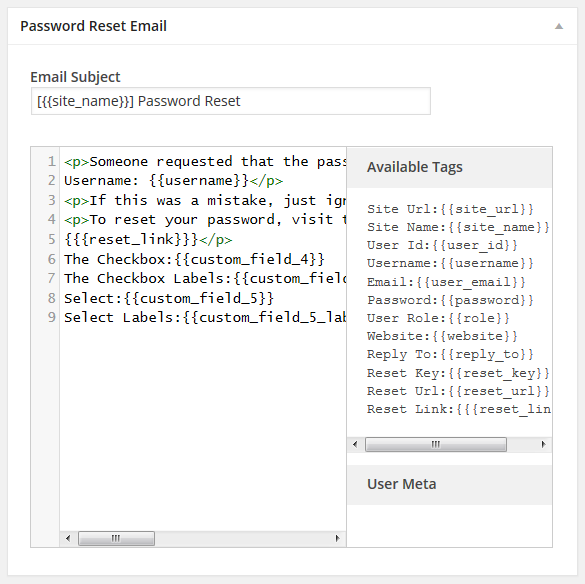 You can customize this email Subject and Content by making use of the Available Tags and User Meta (fields). 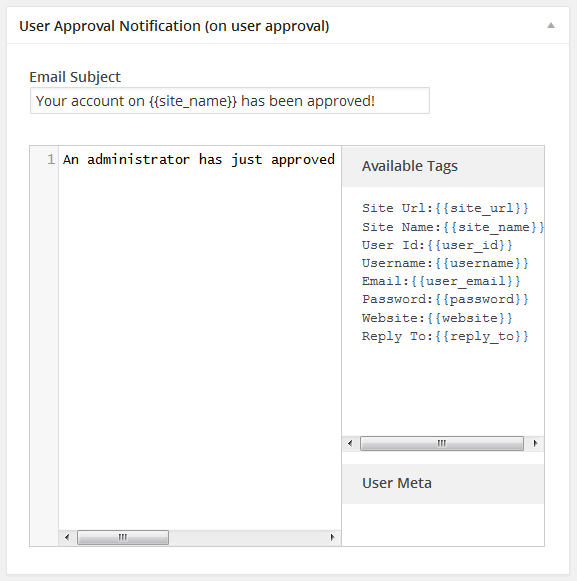 This is the email sent to the users after registration, when the Admin Approval features is activated, letting them know they are pending approval from an administrator. 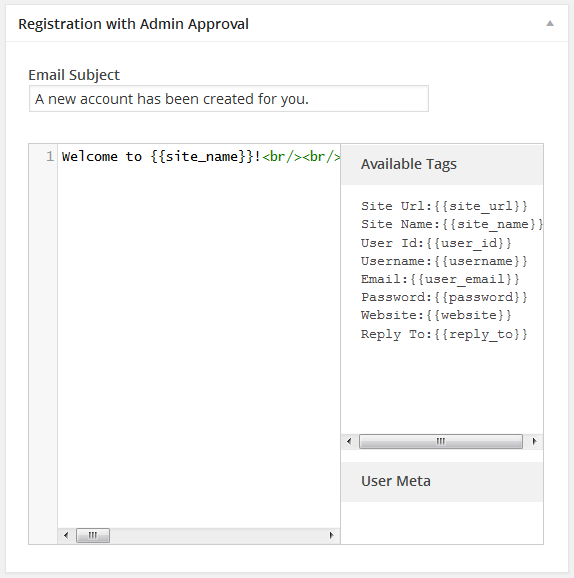 The Registration with Admin Approval box lets you customize the Subject and Content of this email, making use of the Available Tags and User Meta (fields). After a user has been approved by an administrator, he will receive an approval notification email. 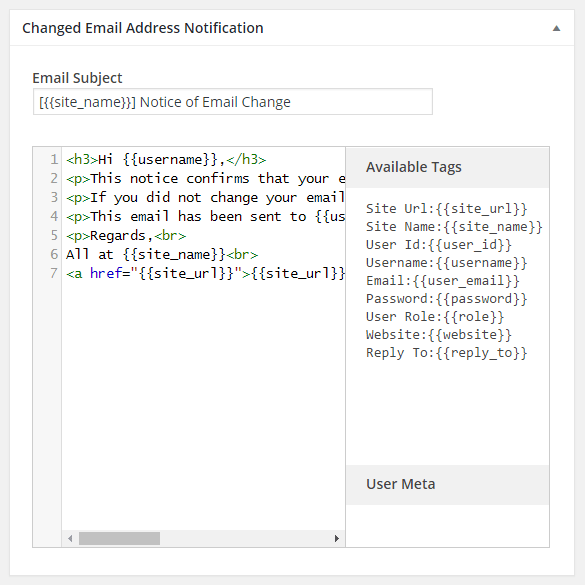 You can customize the Subject and Content of this email from the User Approval Notification box, making use of the Available Tags and User Meta (fields). 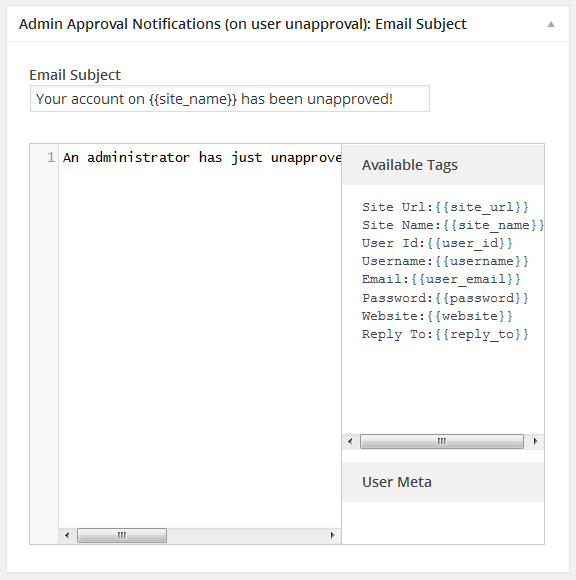 If the user has been unapproved by the administrator, he will receive the email the unapproved user notification. 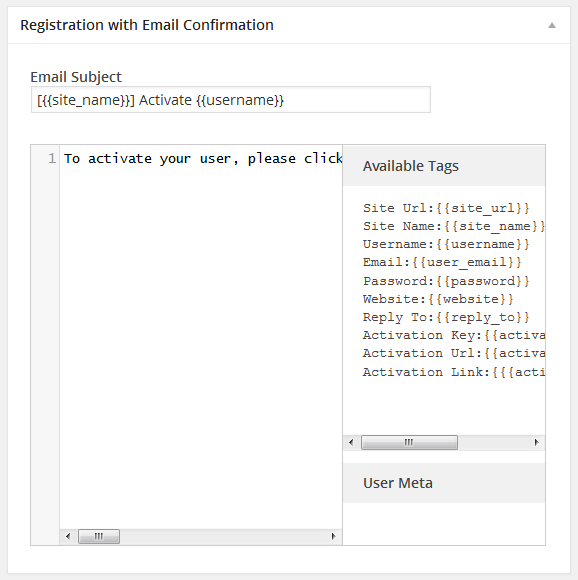 The Subject and Content of this email is customizable using the Available Tags and User Meta (fields). You can customize the email a user receives when requesting a password reset. 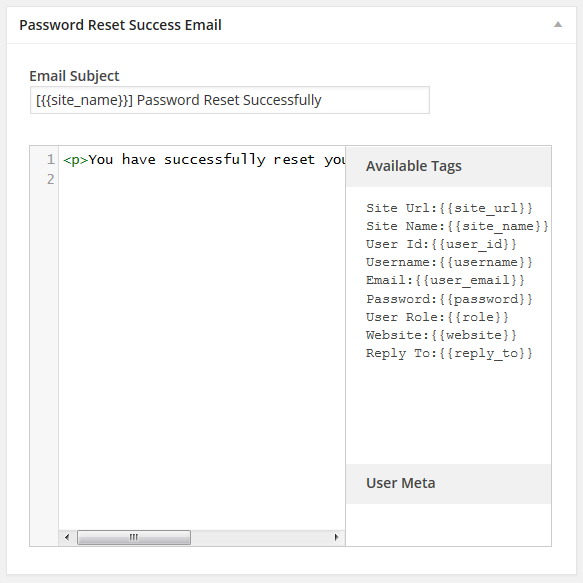 You can customize also the second email the user receives after a successful password change. You can customize the notice of email change sent to the user, when his/her email address is changed from Edit Profile form.